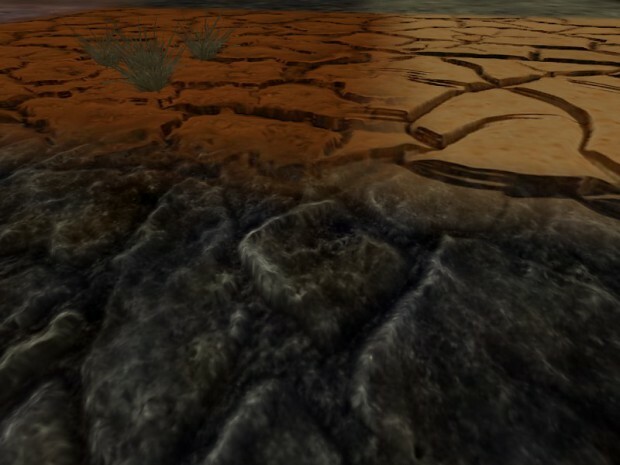 Relief mapping for terrain and models will be a key feature of the next Ya3dag update. Relief mapping for terrain and models will be a key feature of the next Ya3dag update. Below you see a piece of terrain drawn without relief mapping. 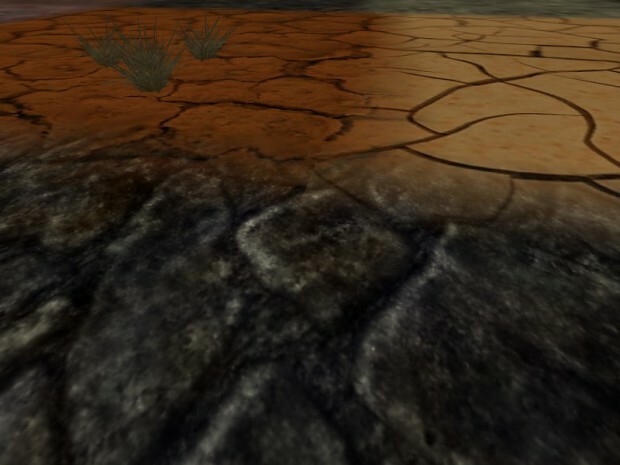 The next image shows the same piece of terrain drawn with reliefmapping . With relief mapping a texture appear three-dimensional. The relief effect depends on the viewing direction. You can look into cracks. The code for relief-mapping was originally taken from qfusion. If I understand it correctly, relief mapping is basically a more accurate but more expensive version of parallax occlusion mapping, right? Bearing this in mind, what sort of performance hit does the use of relief mapping bring to the table? If I'm honest, I have implemented what I had available, relief mapping code from qfusion. The key for me is, the game looks better and it is to realize a reasonable cost (game performance, time to program). If you want to know more, look at "What is the difference between POM and Relief Mapping". It's intersting to bring more advanced graphical effects to an older engine since it can actually run smoothly when the rest of the engine is so light.